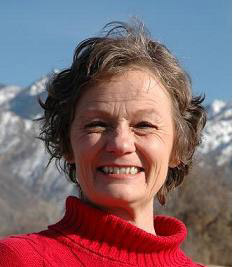 Sherry was born and raised in the Salt Lake Valley but has spent her adult years in various western states. Her wanderlust has taken her to all but six of the United States and the easternmost Canadian provinces. She eagerly anticipates completing her North American travels and expanding her adventures into foreign lands. Returning to college after her divorce, she discovered an intrigue with Astronomy and earned an Associate's Degree in General Science before pursuing a Bachelor's Degree in Physics for long enough to discover that her fascination with space was more philosophical than physical. And being in the midst of a quest for truth, she switched her major to Philosophy. Upon graduating with baccalaureate degrees in Philosophy and Psychology, with minors in Physics and Mathematics, she realized she had barely scratched the surface and so continued on with her studies. She received an M.S. in Philosophy for which she wrote a thesis entitled The Psychology of the Tao. That was twenty years ago. Since then, she has broadened her quest to include forays into various metaphysical methodologies, including reiki in which she achieved the degree of Master. She completed two years of Science of Mind classes while immersed in the healing energies of Maui. Sherry currently resides amidst the magnificent mountains in Northern Utah. A scholarly exploration of the religious, philosophical, psychological, historical, and scientific origins of the principles that make up New Thought philosophy. Suitable for those new to New Thought as well as long-time adherents. The study guide is based on a chapter by chapter progression through the text. Study questions are drawn from the text, as well as from new information as to New Thought's influences provided in the guide. The Chapter Study Guide is available by itself or in packages.